There are unlimited sources of filmmaking how-to guides, courses, tutorials, plus all the conversations on forums and social media. There are even printed books and online filmmaking classes on the business of videography and managing video production jobs. But how do you get video production jobs in the first place? That question, unfortunately, is rarely discussed. Partly because it's a cloudy subject. It's much more concrete to talk about gear and technique than it is to talk about getting clients in the door. There's no guaranteed path to getting clients for your video production business. But it's probably the number one question we get asked over emails. You have the gear and skills, you know how to price your work and manage all the tidbits. But how do you get the phone to ring? Recently we were going through an online filmmaking course, and in one of the modules they outlined how to price your work. On one side of the equation you take the amount of days you can work per year - say, 250 - and then you divide that by how many days you estimate it takes to complete a project, like 4-5 days. So you end up with 30-50 projects per year. And then all you have to do is decide how much you want to make per year (the fun part), and divide by the amount of projects you can execute, minus some basic expenses, and voila, your per project cost. In reality, no project is the same, and there's a lot of time-intensive variables that come with each unique project. This is a creative or craft-based industry, after all, not a factory line. But outside of just the practical nature of making videos, there's the huge elephant which is how would a solo shooter get 30-50 projects per year? That would be 3-4 per month, or one per week. If you have a team of two, you would need to double the numbers to each make your desired income, bringing in 60-110 projects per year, or up to 8 per month. Is any of that realistic? ​Maybe you could handle the shooting and editing component, but to truly bring in 50 projects a year, you need 5-10x that in leads or projects somewhere in the pipeline. So you'll have to be answering queries, providing estimates, and managing clients for a lot more projects than your completed ones. ​How do you get a steady stream of leads? You can either have an extremely successful online customer funnel with website SEO, a robust newsletter, and a large presence on other web communities, or you can get out there and meet people, speak at presentations, make calls, network, and build relationships. Both options take a considerable amount of work, expertise, and time. Can a small town support this many videos? And then think about the town you're in. 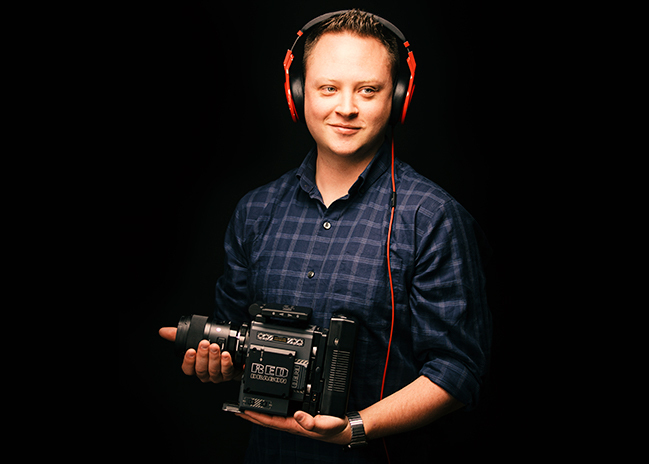 If there's 30 other solo video producers in your area, that means every month there's 100-150 small business videos being shot, and another 500-1000 in the pipeline. How many towns out there can support that? Are there that many local businesses that want a premium video such as a mini doc, or a highly produced corporate story? If they get one made, they probably won't be interested in a replacement video for another few years. So in your town, are there thousands of companies who want a premium video, enough to support just 30 video producer salaries? We don't believe so. It's just not probable that so many businesses in your area will seek out a premium video story, with enough new clients coming through the funnel that everyone in your town can churn through the work and consistently make a good living. So what can be done? 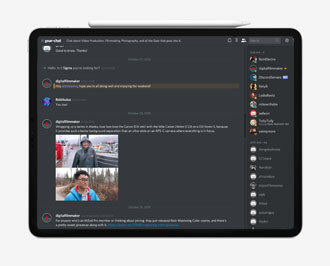 Well, there's one main driver that keeps some video producers busier than they can handle, while others wait quietly by the phone. What is it? Repeat business. If you're making the type of video that a business only needs once every few years, like a 4-5 minute company story, then repeat business is a tough sell. But there are many other types of videos that can be produced for one client. 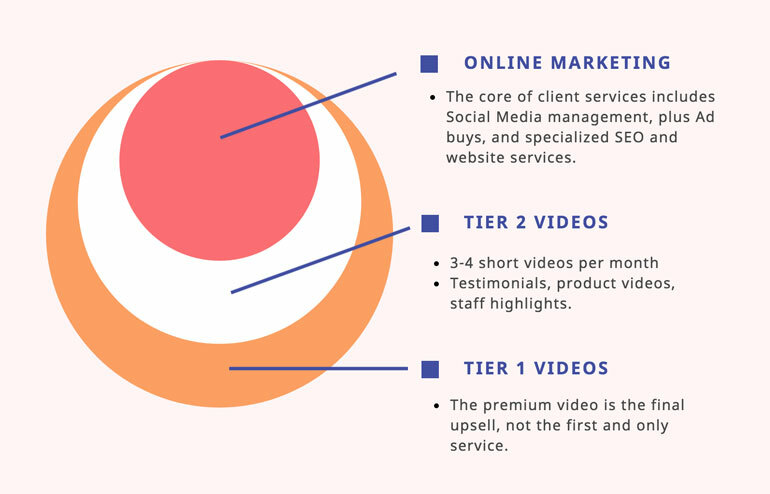 If you want a steady client base, you've got to expand your offerings from just your one, top-tier video story, to more bite-sized videos that a client can order throughout the year. For example, customer profile or testimonial videos, ​product demos, staff profiles, event promotion and highlights reels, social media text videos, and so on. For a wide look at the different types of videos you can produce for clients, check out our video production services ﻿guide. If you're going to offer a suite of video production products to a client, someone at their end is going to have to manage the release and promotion of those videos. 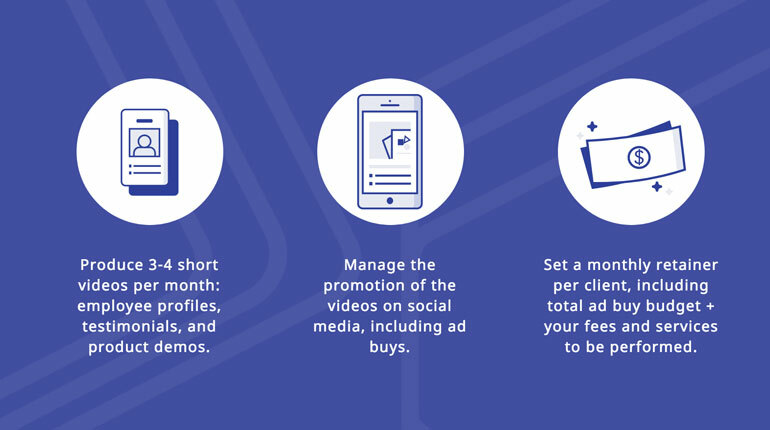 Alternatively, you could offer clients an expanded service where you not only produce the videos, but share them on their social channels along with ad buys for targeted audiences. The following is an enlightening commentary from Mark Richardson, Creative Director at Porter Pro Media. They take the concept of repeat video business to a whole new level, by offering clients a suite of digital marketing services: from website design, SEO, social media management, and of course video production. If you think about it, online marketing is truly what clients are after when they're looking to hire a video production company. So it makes sense to offer the full marketing package, rather than hand clients a video and call it a day. We all know that a video needs some kind of promotion to be seen, and if we don't concern ourselves with getting our client's videos seen, then why would we expect them to hire us back? The best thing about this case study is that Porter Pro Media sets clients on a monthly retainer. They have 6-7 people now, but they only started with a crew of two. And a team of two only needs to find and maintain 2-4 clients on a monthly retainer to stay busy, create a regular income stream, and stop worrying about acquiring hundreds of new clients every year in order to sell them on one video. I live in a small town in Idaho of about 50,000 people. I'm constantly surprised about how much video work we've been able to secure at our small Idaho ﻿video production company. Part of our success is due to a stronger economy, but I believe much of our success is due to how we sell our services. In the past, I've really struggled trying to sell video production as a stand alone service. $1,000 for a video, $2,500 if you are really lucky. At Porter Pro Media, we discovered that businesses need video, but what they really need is people to see that video. We specialize in building social media campaigns (paid Facebook ad placement) packaged with video production services and have more work than we can handle. Why? Because it works. Targeted advertising on Facebook is extremely effective. Our clients are seeing amazing results on the campaigns we run for them. Most of them are on retainer contracts and we produce video content for them every single month. I realize that this not a new or unique approach, but most aspiring video producers struggle so hard to sell their services when if they would partner with an expert in online marketing, they would be able to offer a service that businesses need more than just stand alone video. We are a 7 person team and still growing, but we started with just two guys. One small retainer client suddenly provides regular income and is way more valuable over a year than a one-off production. As for how much time they consume, it’s only 2-3 production days every other month, some editing time (maybe 5 days) and then once you have their social campaign setup it’s just a matter of maintaining and optimizing their campaigns going forward. If you are one video shooter, my point is to become more than that. Find a partner that can manage the ad campaigns. 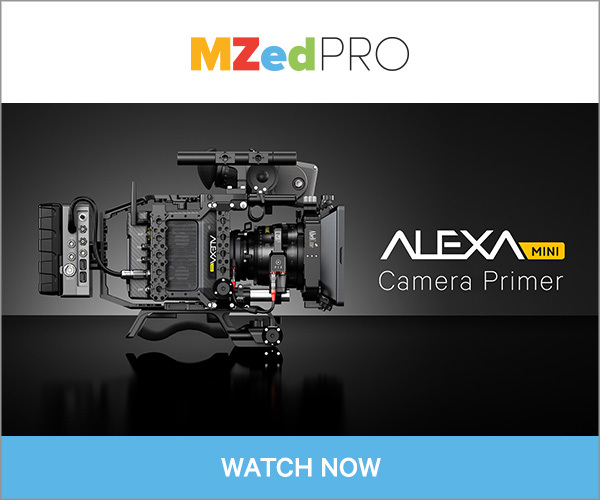 Don’t just sell video pieces, sell ongoing commercial campaigns. Even a two person team can do it and be wildly more successful than a single freelance video person. You have to find people to work with that are just as driven as you are, if not more driven. The kind of people who are willing to sacrifice the immediate pleasures for the long term reward. Things like staying late when needed, going the extra mile for a client... they are cliches but it's harder than it should be to find people willing to work really hard for their own success. The people you choose to work with should always make you a better person when you are with them. Work ethic and integrity are a million times more important than skills with a camera or SEO knowledge. The simple shift in mindset from selling videos to selling commercial campaigns was truly ground-breaking for us. It's a complete solution for the customer. They no longer have to wonder how to get views on this expensive video they were sold. I remember early on... so many clients thought that if we just produced a "good enough" video it would go viral online and get thousands of views. While we do still strive to create video content that people want to watch, with a campaign on Facebook you can not only get views, but ensure that your video is watched by exactly your target market. Not only that, you can track exactly how effective that video is at getting clicks, traffic, sales. Obviously, these things are not possible with radio and television. When you explain the benefits of Facebook or social advertising over traditional marketing to businesses, it's a very easy sell to get them to reduce or re-purpose the money they were spending (wasting) on traditional advertising and putting that money into social media. Once you've helped a client understand that they need to be investing in social media - the video production, creative, photography - all of that is an obvious part of your offerings. It's not even a question at that point that they'll need regular creative content - and you're poised to give it to them. For many local businesses, spending $3,500 to $5,000 a month on marketing is very manageable and they are likely spending quite a bit more already on traditional marketing. You can see how getting just 5 or so of these types of retainers with a two person crew and you'll be quite profitable, even after using a portion of their budget for ad spend. The creative doesn't even have to be stellar. Yes, we always strive to do the very best we can with the budget we have, but so many businesses just need to start doing anything. Simple customer testimonial videos. Employee Highlight Videos. Simple product videos. If done right, these are great pieces of content that the target audience wants to watch and they build trust in the people who run these businesses. We call these Tier 2 productions. Our base retainer clients get 1 or 2 of these types of productions a month. They are easy to do. A one person crew can show up with a DSLR on a tripod and a simple LED light and a lav and get an interview in 15 min. Spend another 15-20 min gathering some b-roll with the tripod and maybe a Ronin or Glidecam. Editing takes 1-2 hours and you have a professional looking piece that most local businesses can benefit from. The Social Media part of your business takes the video and builds a campaign with a custom audience and ad spend. Tier 1 productions are higher end. We're finding that many of these clients, once they've seen some results, become super interested in doing more. If you see an increase in revenue, it only makes sense to invest more in the thing that is helping you make more money. We offer higher-end productions when clients are ready. 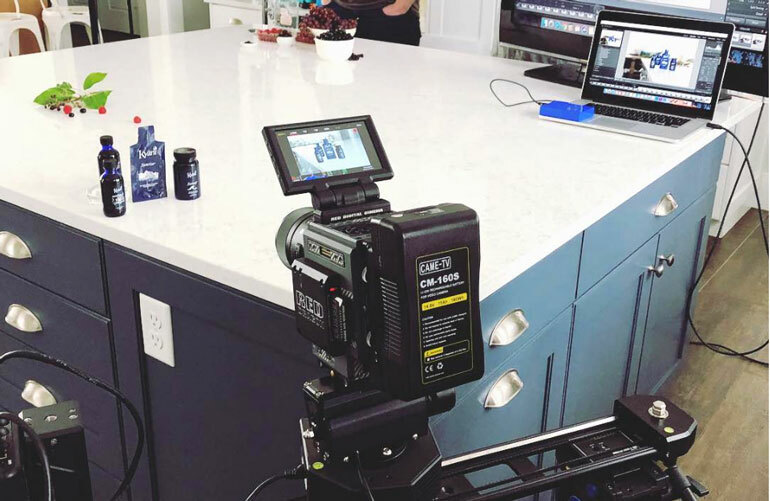 Tier 1 productions typically require more crew, script, pre-production etc... but that can be an up-sell once a customer sees how effective video can be. This model has worked really well for us. As I said, I'm constantly surprised at how much business there seems to be in our tiny town. The word has gotten out and we're getting calls weekly. 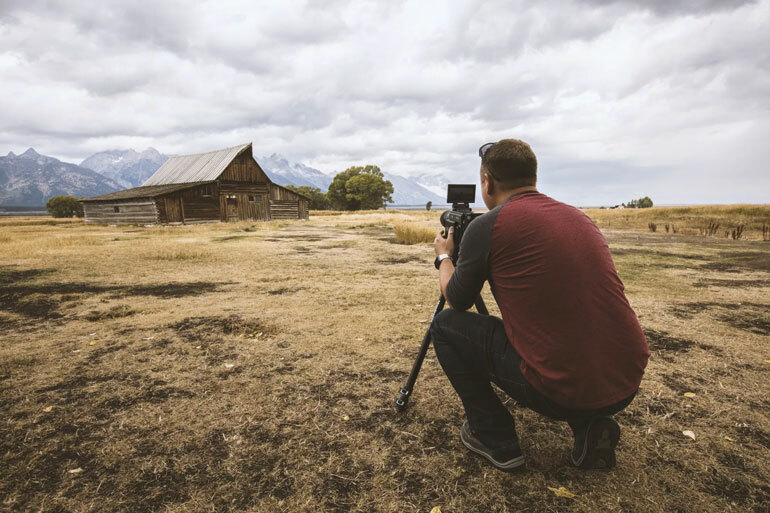 We have many video production freelancers in our town as well, but we don't really even see them as competition anymore because they are not offering what we offer. Yes, many of them can produce a video just as good as what we produce, but again, a stand-alone video posted to Facebook without any ad-spend behind it does very little. 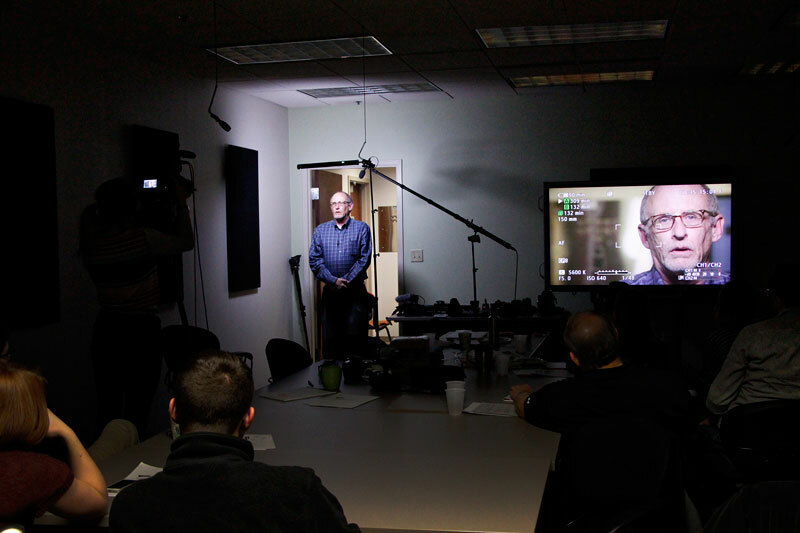 My Dental Assisting Institute invested $68,400 in a marketing campaign with Porter Pro Media. We can directly attribute the revenue amount of $662,227.59 to the efforts made by our team. That means that My Dental Assisting Institute received an ROI worth almost ten times their investment. This really works. This dentist can call us up and tell us that he'd like to ramp up a specific service, such as his same-day dentures. We can immediately turn on a campaign with video content including a testimonial from someone who had a great experience getting dentures and he'll have leads and phone calls coming in that same day. You don't have to spend all of your time looking for new video projects, because you've got regular income you can count on. You can grow as you wish by taking on the clients that you want to work with. In this position, you are in a position of power. Now, when the one-off video project comes up, you can afford to bid it appropriately. You can afford to charge a premium for premium work and stick to your guns. You can afford to say no to the projects that are not a great fit, or lower budget. You no longer have to worry about beating out the competing bid from the local freelancers in a race to the bottom. As we improve and grow, we've started to attract larger clients in our region and have even been awarded a contract to produce a fully funded docu-series. Our business is still young and growing, but our success so far I can directly attribute to building a team of like-minded individuals who are excellent in their specialty and driven to succeed. Choose the right partners and don't try to do it all. Stick to what you are great at and delegate the parts you are weaker in to the best people you can find in that field. Selling video to local business is kind of like trying to sell a fishing pole without line, bait, and a hook. It can be a really nice pole, but utterly ineffective without those additional parts. You can definitely catch a fish with just some line, bait, and a hook, and now if you also offer the pole you've got a winning offering. If you would like to contribute an article about your video production strategy, your filmmaking kit, or a review of a particular piece of gear, please get in touch!